Well, it was either this guy or Willy the Weeper. So the saddest (and saddest looking) man in the world takes an acting lesson, and learns how to make people feel SO sorry for him that they give "S. S." Sanders whatever he wants... be it food , the bank loot from an armored car, or to kill that annoying Plastic Man. The huge eyes, the sloping forehead that drips into a puddle of jaw at the bottom of his face, the way Sadly's clothes seem to droop along with his mood make for maybe the straight out funniest villain design I've ever seen. This whole story is bravura cartooning from Jack Cole, with the hint of pathos that comes from knowing that Cole was unhappy enough to commit suicide 14 years later. Last Edit: Dec 22, 2017 0:09:37 GMT -5 by Reptisaurus! Huh. I thought (Lord) Death-Man was original to the Bat-Manga. It's almost stranger that they took a one-shot villain. Really great design, though! Looking back, it's pretty amazing how Grant Morrison put the first Death-Man story in continuity with the Japanese version. It was a great touch adding the "Lord" to his name - was it the Japanese writer who came up with that idea? I haven't read anything, just seen the online samples. Somehow it fits the costume, which I agree is one of the best ever. I also like to contrast between the spookiness of the look with the direct, physical brutality of his actions, at least as seen on that cover: no messing about, he just kicks you in the face - and then apparently shoots you with his gun, if you're not lucky. I don't see much resemblance with Dead-Man's look, myself. I never have liked that character, for some reason: neither the visual nor the concept itself strike a chord with me. Definitely a fan of the no-face villains, where there's just nothing where a face should be. Several others seem to be too, as we've seen some great ones. Here's my favorite. Putting aside the obvious and, by today's standards, inappropriate "Yellow Peril" origins of Emperor Ming's look, it's the militaristic, swashbucking costume that Raymond sometimes dressed him in -- complete with ornate skull cap, flowing cloak, waist sash and ornate sword and scabbard hanging from his belt -- that I'm choosing here. 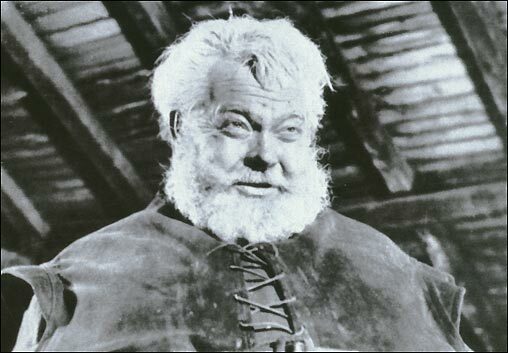 It's a regal and ceremonial look, but one that also says that this villain is ready for action. * = Although I do really like reading Raymond's later Rip Kirby strip. I've frequently mentioned my love of the Sekowsky Wonder Woman, so when it was announced he was taking over the super-boring Supergirl feature in Adventure, I had high hopes. Alas, those hopes were quickly dashed; Sekowsky's Supergirl work--story and art--struck me as slapdash, sloppy and at times just plain silly. However I remember being intrigued by his creation of supporting character/Supergirl antagonist Nasthalthia Luthor aka Nasty. Yes, she's Lex's niece--not by Lena Thurol, but evidently there was also an older Luthor sister (as explained in Adventure #401's lettercol). The striking Nasty, with her long black Cher-hair in a single braid and her ponchos and fringed vests and medallions, exemplified the look of young people back in the late '60s-early '70s--or at least how Sekowsky saw them. In the beginning the peace medallion-wearing Nasty joined her Uncle Lex in scheming to utterly destroy Supergirl. As Sekowsky's stint wore on, however, Nasty's malevolence manifested itself in trying to out Supergirl as Linda Danvers, as in this issue. Always loved this cover, with the 3/4 Nasty face. I was considering him also and I had to let him go because of my unfamiliarity of this character. Here's the thing about Black Manta: the helmet. The bodysuit is just a plain black skintight suit, but that helmet is bizarre! It suggests some unusual technology, with the tubes going to his air tank but attached to the top, and huge eye plates that can project deadly beams, which is convincing as a weapon in an underwater setting (water doesn't slow down electromagnetic waves very much! ), and shooting beams out of your eyes has always struck me as a cool visual. But what I dig most about that helmet is its huge size, which takes on the appearance of some kind of small submarine when he's operating beneath the waves. It should be a clunky-feeling design, but it seems like it could work in that weightless environment. This great looking character has been chosen several times and I will add him to the list with a distinction- John Byrne drew him better than anyone else IMHO. All the classic elements are present, but when he took over the book with FF # 232, he made a change to how his face looked. Instead of eye balls he added the square design and it made him look much more powerful and aloof. Apologies to Kirby , Buscema and Mobieus, but Byrne gets the edge. 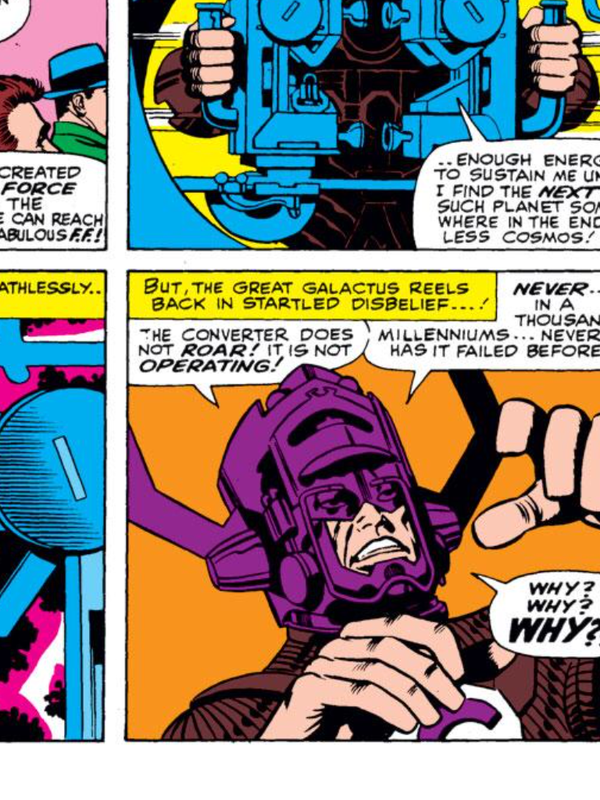 FYI, Byrne did not create the square-eyed look for Galactus. 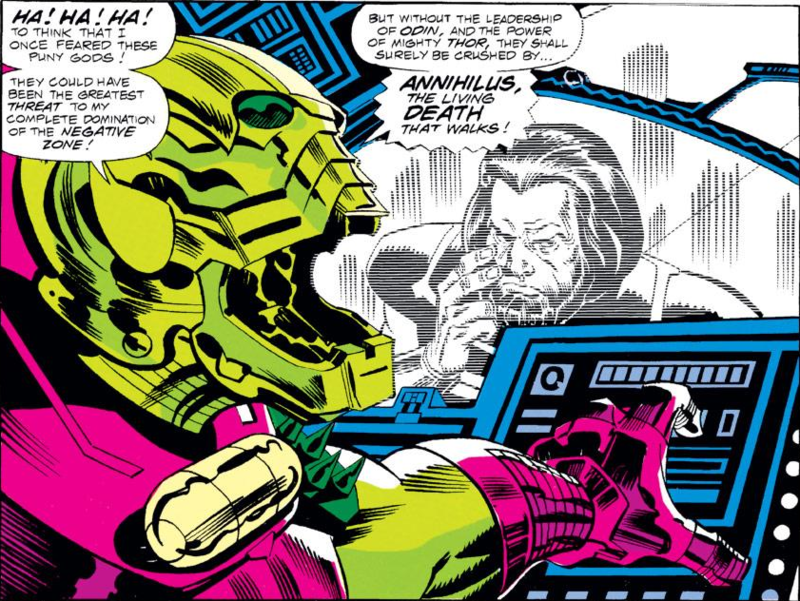 He revived it: Kirby and Sinnott drew him that way throughout Fantastic Four #49. 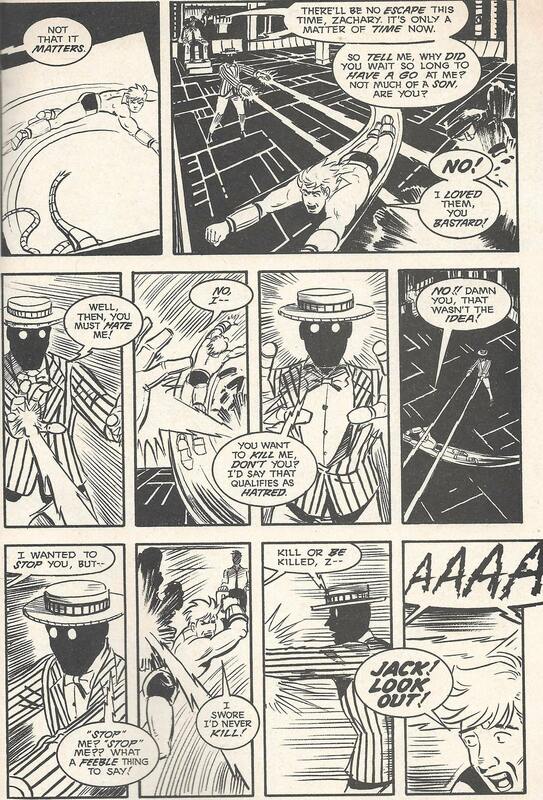 By the next issue, they were drawing Big G with human eyes but they did originate it. I summon the true facts! Wow, I have to check that out. 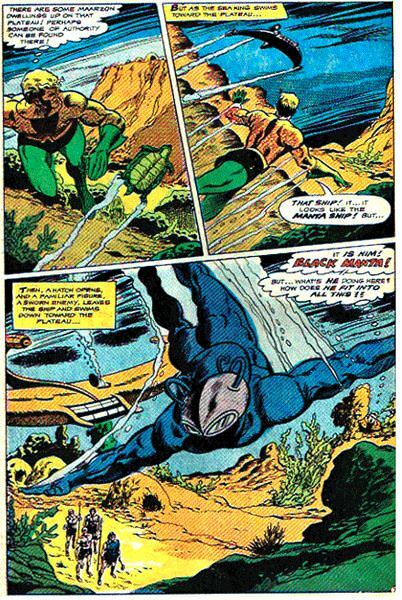 Aside to MWGallaher: I meant to rule Black Manta ineligible when zilch chose him the other day because the character originated on the 1967 Filmation animated series but it slipped my mind. However, I just now watched some clips from the show and decided that there are just enough differences, mostly in coloration, to make the comic book version eligible after all. Aren't you glad I double-check my own work? OK, I'll gratefully accept your ruling! 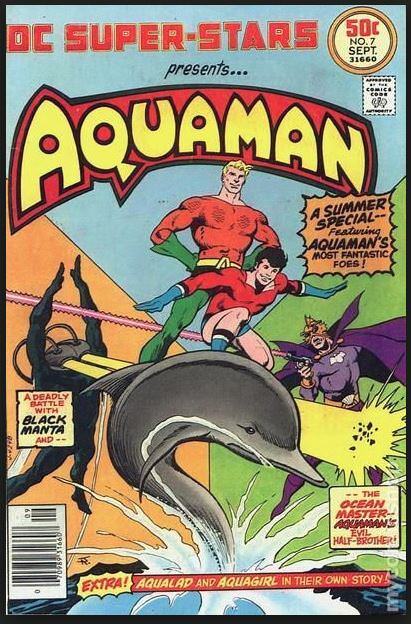 It may be that the character was created for the cartoon--I wasn't aware of that--but from my research, it does appear that the comic book version was published first: Aquaman #35 went on sale in June 1967 (with a September cover date), and the Superman/Aquaman Hour of Adventure debuted September 9, 1967. Given the prep time, it seems like the cartoon must have been created first, and I know DC was trying to capitalize on the cartoons (wasn't Metamorpho also created for a cartoon first?). But the premiere date should count for something, right? You are only half right. 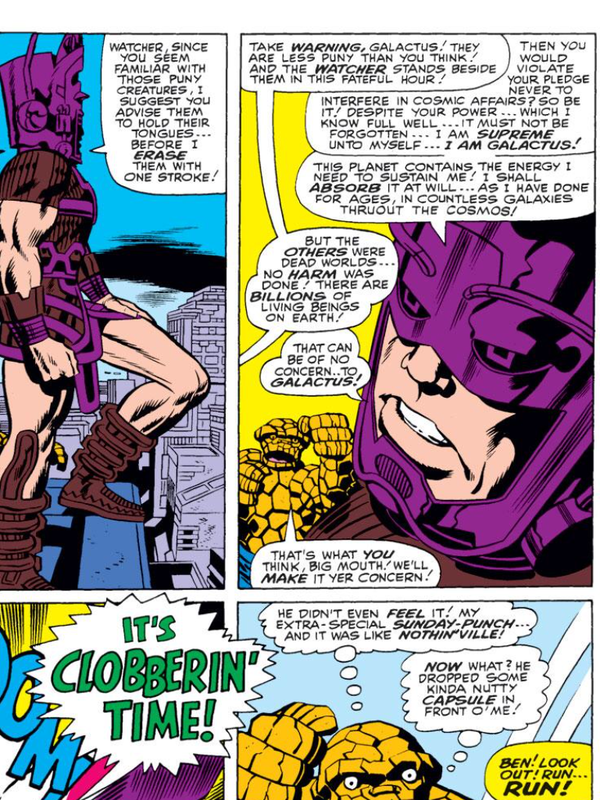 Kirby/ Sinnot drew the square eyes in exactly 1 panel in FF # 49. Every other panel that highlighted his face either had eyeballs or white slits.